Maybe putting Harriet Tubman on the new $20 bill isn't a done deal after all. Back in in April 2016, Obama Treasury Secretary Jack Lew, said that the black abolitionist hero would appear on a new version of the bill. It would be the first time a woman has appeared on U.S. paper currency in over 100 years -- and the first time ever for a black woman. He responded, "Ultimately we will be looking at this issue, [but] It's not something that I'm focused on at the moment." "That's what I'm focused on at the moment," Mnuchin said. Lew had worked alongside then-Treasurer Rosie Rios for more than a year on plans to reinvent the U.S. banknote to incorporate a woman's portrait. -- The $10 bill would keep Hamilton on the front, and the back would have a montage of women involved in the American suffrage movement -- including Lucretia Mott, Sojourner Truth, Susan B. Anthony, Elizabeth Cady Stanton, and Alice Paul. 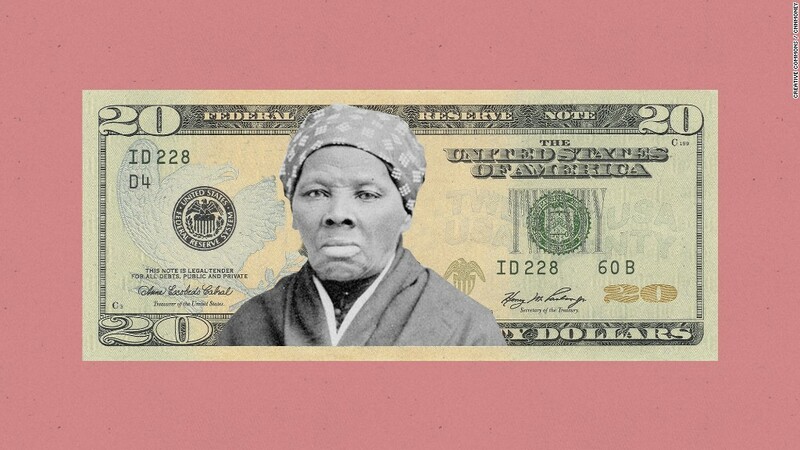 -- The $20 bill would replace Andrew Jackson with Tubman. That move elicited cheers from activists who wanted Jackson, who has been criticized for his role in displacing Native Americans in the 1800s, off the $20. -- The $5 bill will keep Abraham Lincoln, the 16th president, on the front. The back of the bill will depict the Lincoln Memorial along with portraits of individuals involved in historic events that took place there -- including Marian Anderson and Eleanor Roosevelt. Mnuchin's boss, President Trump, said he disagrees with Lew's decision during the presidential campaign last year. Trump said in April 2016 that he thinks Tubman is "fantastic," but that Jackson "had a great history" and removing him would be "pure political correctness." He doubled down on his admiration for Jackson in an eyebrow-raising interview with SiriusXM last May. Trump claimed Jackson, a slave owner, could have prevented the Civil War -- even though Jackson died 16 years before it started. The U.S. Bureau of Engraving and Printing, which is part of Treasury, is in charge of the banknote redesign. The bureau has "not received any instructions to change our present course," spokesperson Lydia Washington told CNNMoney on Thursday. "We're still following previous guidance," Washington said, referring to Lew's instructions. "But that does not mean that things can't change." She said it's still "very early" in the redesign process. And, like Mnuchin, she emphasized that redesign efforts are centered around security concerns.